It’s been an interesting few days, it has to be said. Back last week, I had a nasty fall, like the decrepit old baggage I am, tearing some muscles my hip. Fortunately, X-rays showed it’s not broken, but apparently it’s likely to take a good month or two to get better. So not only am I not really at all mobile at present, relying on a wheelchair and a pair of crutches to get around, I haven’t been able to get much sewing done recently. Well, until yesterday, that is. When for the first time in a while I had a real urge to sew. But what to make? I didn’t fancy just doing some mindless piecing, but I didn’t want anything too complicated. I was looking for a little project to work on that wouldn’t take too long, didn’t require too much thought, and would provide me with instant gratification. And I found it, thanks to the lovely Ms K, over at Easy Patchwork. 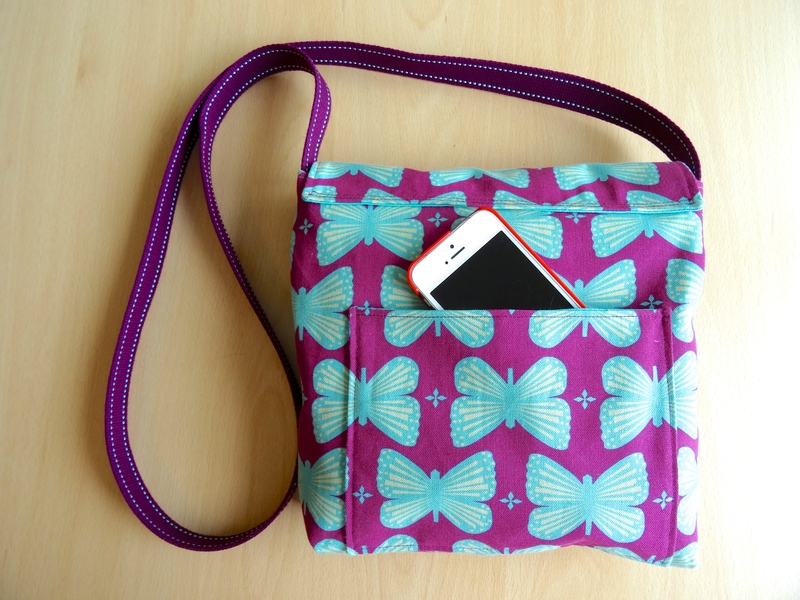 A few days ago, she’d posted a picture on Instagram of the cutest little messenger bag she’d made, using a tutorial from mmmcrafts. 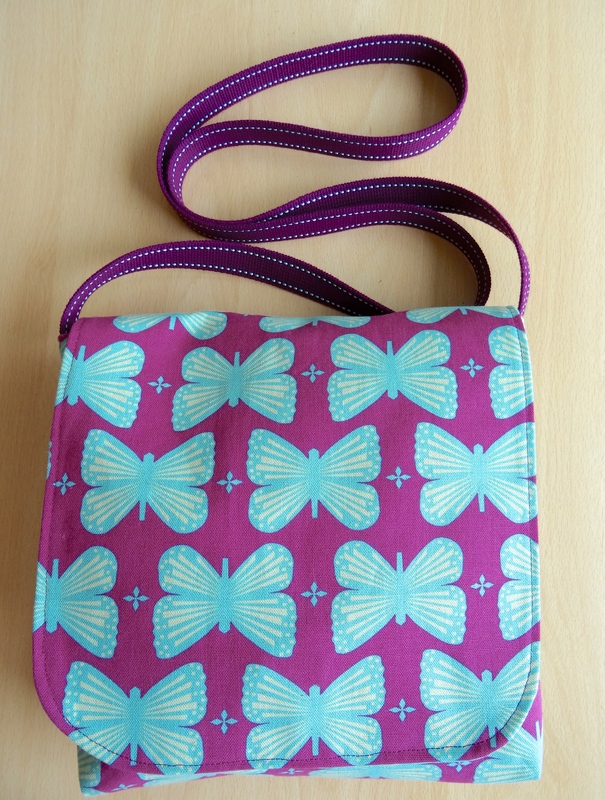 Now, Mum’s been dropping some not-so-subtle hints recently about how useful such a bag would be for when she’s out walking her dogs, so I’d been on the lookout for a simple pattern to try my hand at. 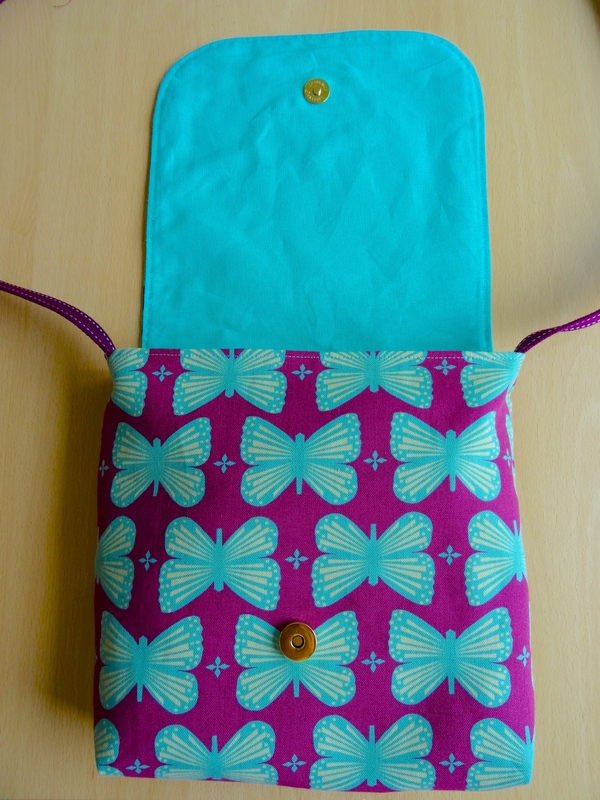 But before sewing a bag for Mum, I decided to make a practice one for me. 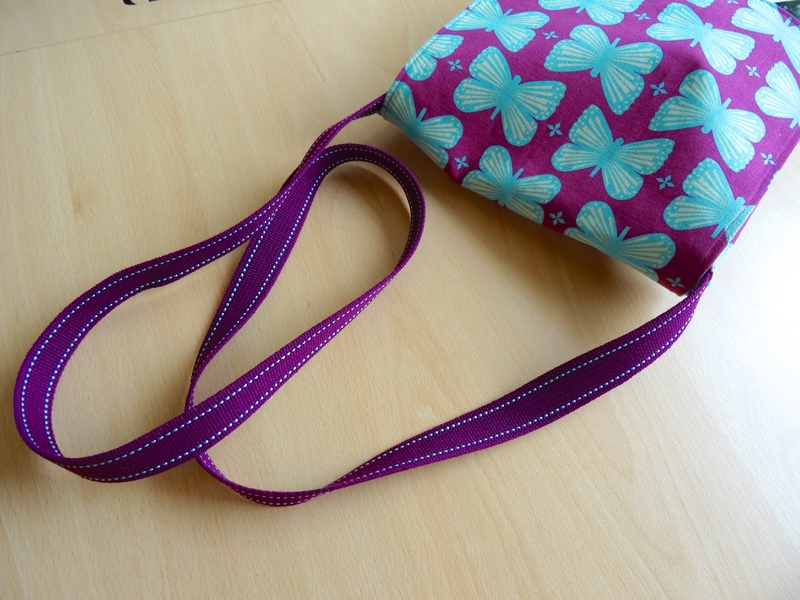 I thought it would be very useful to have a bag I could wear slung across my body over the next couple of months, leaving my hands free for crutches etc, until my hip gets better. As per the pattern, I added a cute back pocket to keep my phone in. Check out that pattern matching! But I also added a magnetic bag closure for security. And used some co-ordinating Echino stitched webbing I had leftover from another project for the strap. All in all, this little project was quite the success. Super easy to make, as well as to adapt. Pretty and practical, too. And quick to put together, thus providing that all-important instant gratification! I’ll definitely be making one for Mum at some point, but in the meantime I think I’ll just sit back, relax, and enjoy making good use of the fruits of my labours. Very cute, and perfect pattern matching!